It’s often said that Filipinos know how to have a good time. No matter where you go in the world, Filipinos will take every opportunity to share their rich history and culture. The Filipino community in Toronto is no different, with a big Filipino festival happening every weekend in the summer. This weekend, it’s Flavours of the Philippines. 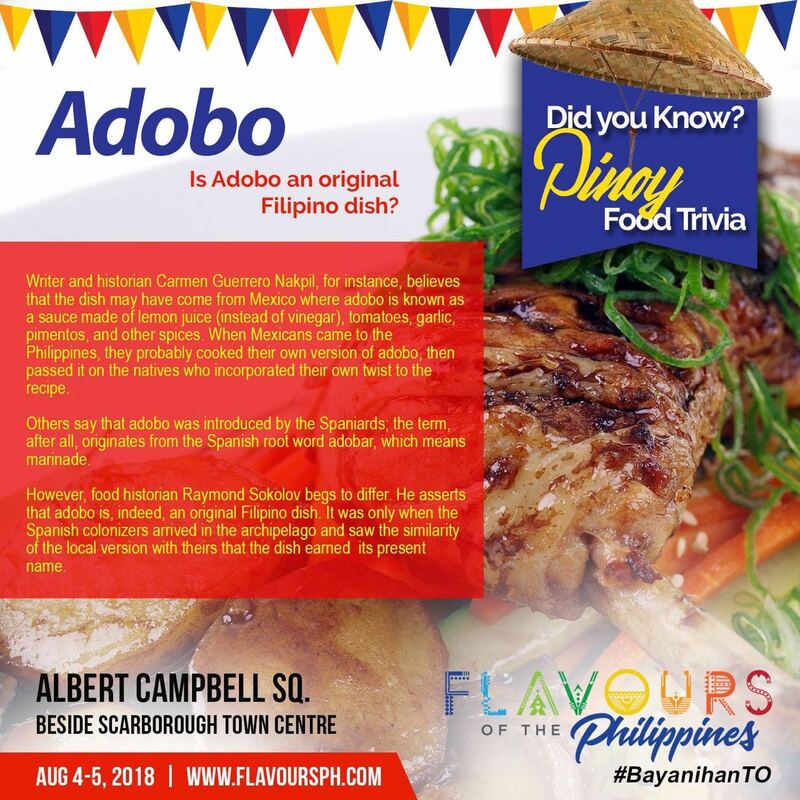 Flavours of the Philippines is going to be a two day event happening on Saturday, August 4 and Sunday, August 5, 2018 at Albert Campbell Square in Scarborough, Ontario. Admission is free! Just in case you haven’t heard, Filipinos are one of the fastest growing communities in Canada. Filipinos haven’t been in Canada for very long, but the community has certainly made meaningful contributions to Canadian society. Filipinos in every province and territory have been involved in everything from arts and entertainment to business and politics. Of course, the summer wouldn’t be complete without a food festival. The popularity of Filipino food is on the rise in Toronto, with more Canadians discovering Filipino favourites at local restaurants. 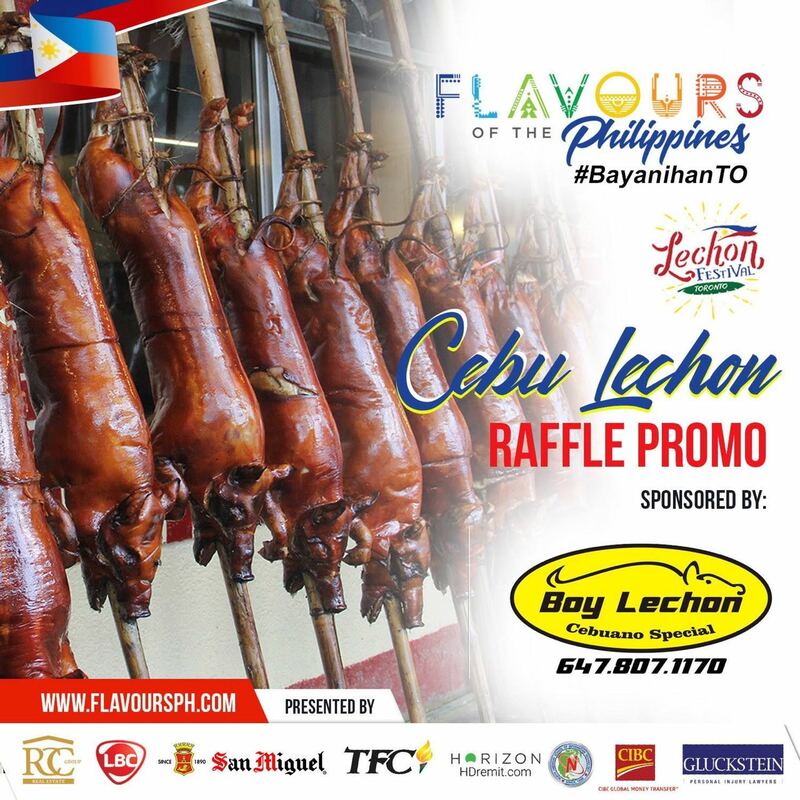 Flavours of the Philippines will be featuring the country’s famous mouth-watering lechon and refreshing halo-halo. If you haven’t ever tried lechon or halo-halo, you’re in for a treat! Flavours of the Philippines will also be showcasing food from Luzon, Visayas and Mindanao. Thinking of picking up some food items to bring home? You’re in luck, with Flavour of the Philippines’ Samut-Sari Supermarket selling stuff like Filipino soy sauce, vinegar and fish sauce as well as Filipino snacks like cornik. Vendors will also be selling handicrafts from different parts of the Philippines. So if you’re in the mood for some Filipino-style house cleaning, we suggest picking up a walis tambo or two. They’re very easy on the floors! Filipinos are famous the world over not only for their hospitality, but also for their love of song and dance. 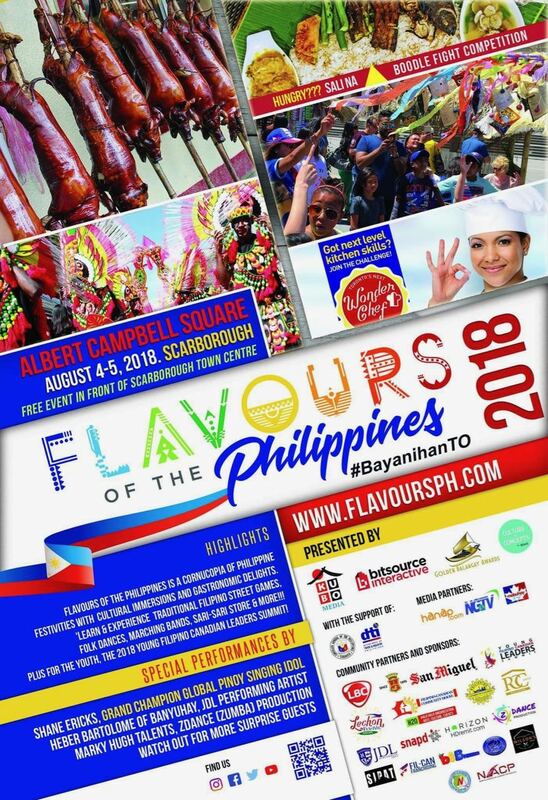 Flavours of the Philippines will feature a number of Filipino Canadian artists including Josie de Leon and YouTube star Shane Ericks, as well as performances by the Scarborough Ontario Seniors Association Rondalla Group and Culture Philippines of Ontario. Kids also have a special corner at Flavours of the Philippines, where there’s face painting and other fun arts and crafts. What’s a Filipino party without beer? 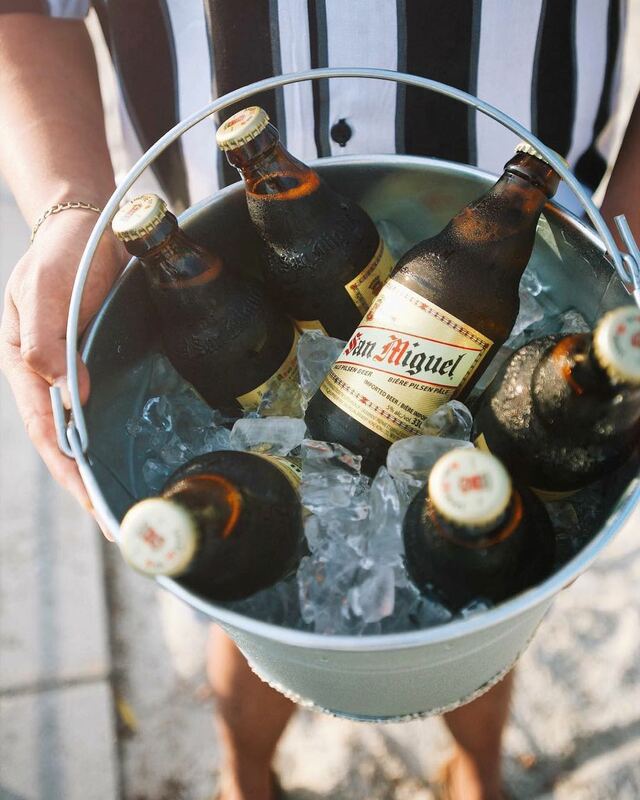 Our friends from San Miguel Beer Canada will be there with bottles of ice-cold San Miguel Lagers. Drink responsibly, if anyone is looking for us, we’ll be hanging out at the San Miguel Beer Garden! Flavours of the Philippines is organized by more than 20 collaborators, including iKubo Media.